Why go out and spend money on a great soup when you can cook it from home? White Bean Chicken Chili is one of my favorite soups or chili I love to make. It’s easy and healthy all in one pot. While going out to dinner with my loved ones is one of my favorite things to do, dining out can get a little costly. I’m often inspired by meals we’ve enjoyed out. This white bean chicken chili is a fresh rendition of my favorite night out soup. I combined my inspiration with leftovers I had on hand and items stocked in my pantry. One thing I love about this soup is it can be a chili or a soup. I preferred chili, but knock your socks off and make it as thick – or as soupy – as you like. I had chicken breast left over from the night before. I also have lots of canned tomatoes that just keep piling up (because on shopping day I insist on buying them). Then there’s always the last leg of your veggies that are screaming ‘cook me before I die’! Chicken stock is always a staple in my pantry. There you go. Easy soup lies ahead or in this case, chili. I added tons of white beans and served it over brown rice. 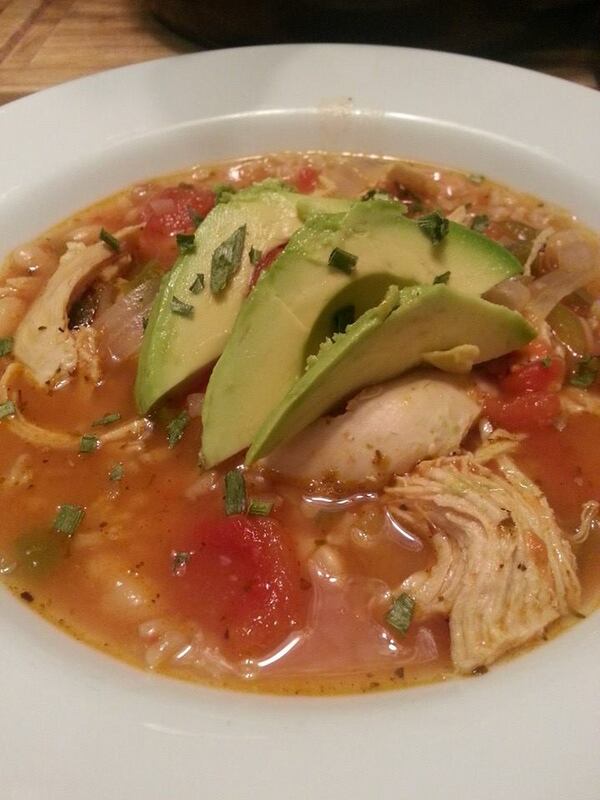 If you are looking for a great chili/soup on a decent budget, bring the dining out home with White Bean Chicken Chili. Enjoy the recipe. White Bean Chicken Chili will knock your socks off and keep you on a friendly family budget.